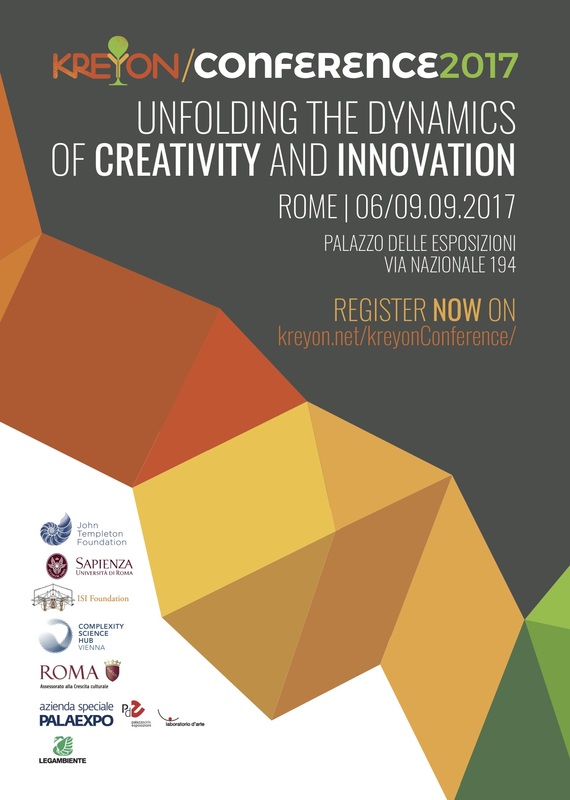 The Kreyon Conference 2017 will be held in Rome from September 6th to September 8th. The aim of the conference is to gather scientists from many different disciplines (physics, mathematics, computer science, biology, social sciences, arts, etc.) to address fundamental questions about how people express their creativity and innovate both at the individual and collective levels. The SACHER project (http://www.eng.sacherproject.com/home) offers a course devoted to the generation of new ideas within the cultural heritage domain. The course (in Italian) will provide theoretical and methodological notions at the basis of the science of creative thinking, in order to generate innovative ideas to be applied to cultural heritage. The course is organized by Giovanni Emanuele Corazza and by the Marconi Institute for Creativity research group and it is open to experts in cultural heritage as well as to citizens interested in the science of creative thinking and in its application to the cultural heritage.